The jump that started it all! For those new to this blog and to my story, I have a confession. I am a Celine Dion fan. It started when I was 15 and is still going strong 100 concerts and multiple meet and greets later. “Why Celine?” so many people ask. That’s another story and another blog. For now, all you need to know is that I love her music, especially her french music! 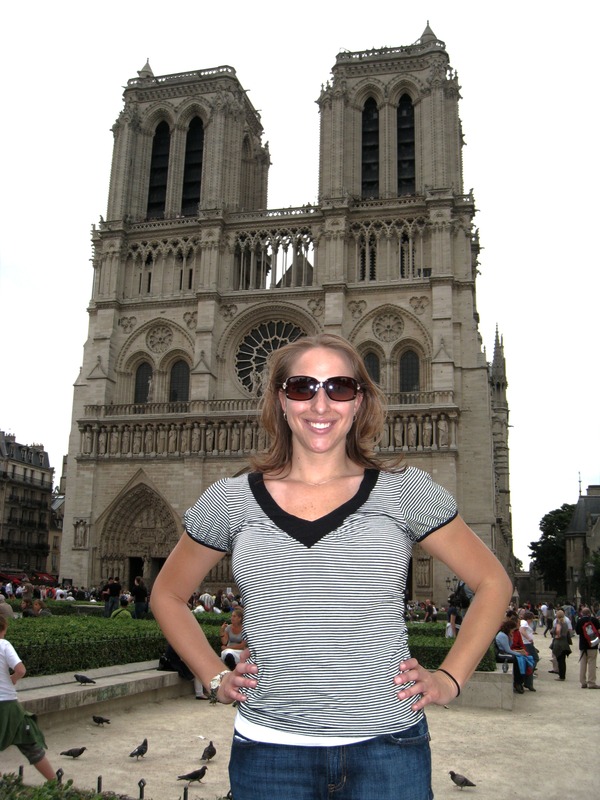 I met Tandra in 2007 at a Celine Dion concert in Las Vegas. 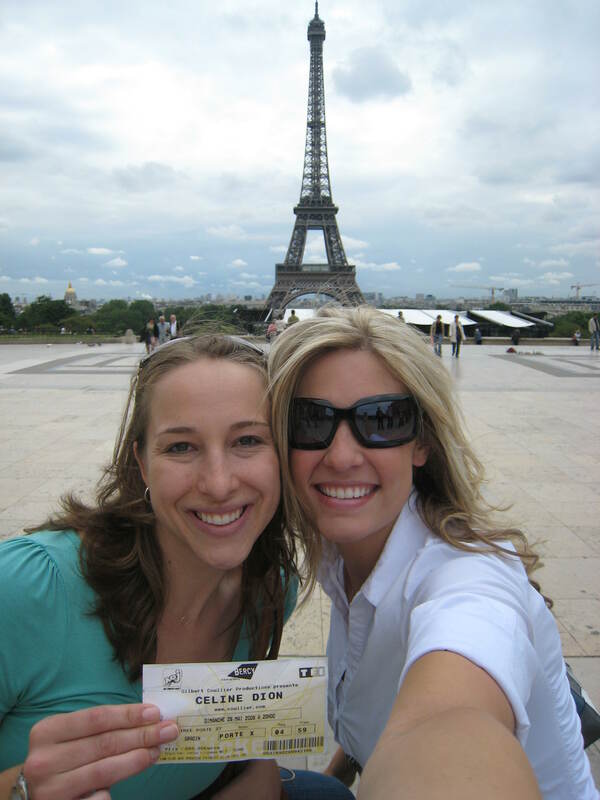 Within 2 months we were roommates in LA and plotting our greatest adventure – Céline Dion Taking Chances tour! Destination: Paris, France! 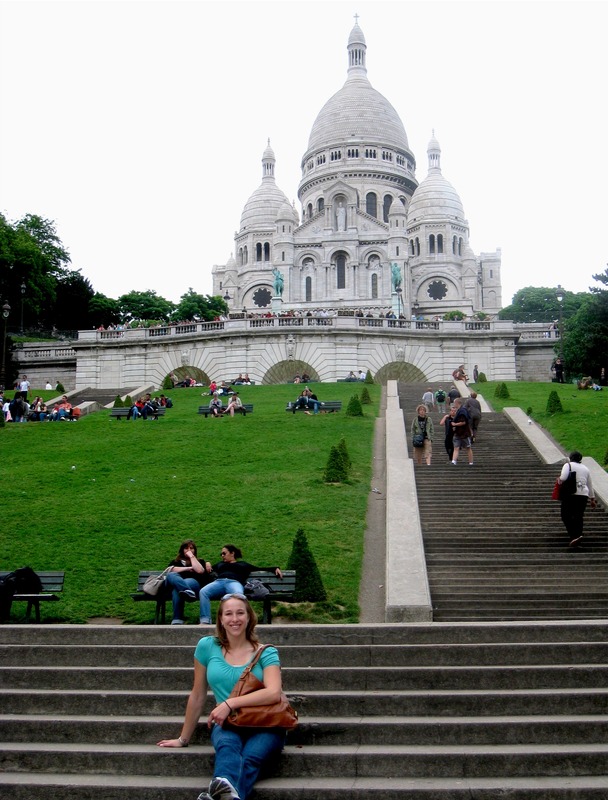 Paris was the birthplace of my jumping pictures. 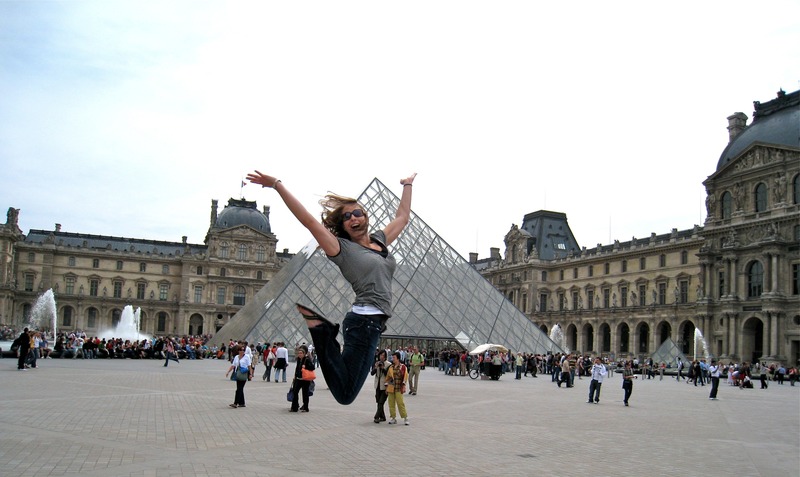 I don’t remember why we thought it was a good idea to jump off of a cement block in front of The Louvre (ouch!) – and it was comical to explain to a french couple that we were going to jump and when we got to the highest point, they needed to snap the photo. We did get pretty high! Paris was magical. 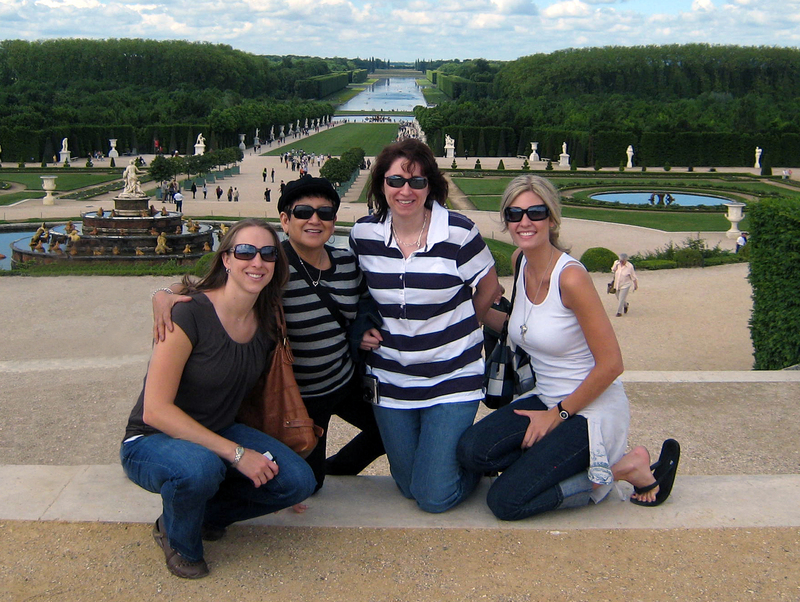 I loved every minute of our adventures to the Louvre, the Eiffel Tower, Notre Dame, Sacré-Cœur, and The Arc de Triomphe, and The Palace of Versailles. We explored, got lost, ate crepes, flirted with french men, and sang our hearts out to our favorite Celine Dion songs in a sold out Paris arena.